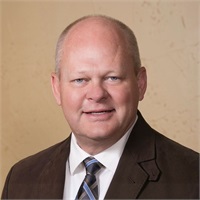 Casey Pinckard, RFC, Ronny's son, has been in the financial services industry starting in 1984, since his graduation from Texas Lutheran University. A member of the Million Dollar Round Table as a Court of the Table member and a Registered Financial Consultant (RFC), he was a top personal producer with TFA, and is a Registered Principal of Cambridge, and branch manager for Cambridge. Casey and his wife Dede have three grown children and a grandson that they enjoy spending time with as often as they can.